Presenting the first-ever Lexus LC 500 and LC 500h; Powerful in performance, daring in conception, and faithful to the character of the LF-LC Concept that sparked it. Lexus LC is a new phase of amazing, and the next step in Lexus’ design and performance revolution. The LC 500 represents much more than a cutting-edge, high-performance coupe. It is a powerful expression of everything that is possible when you combine a utopian dream with a unique philosophy and an unforgiving standard. 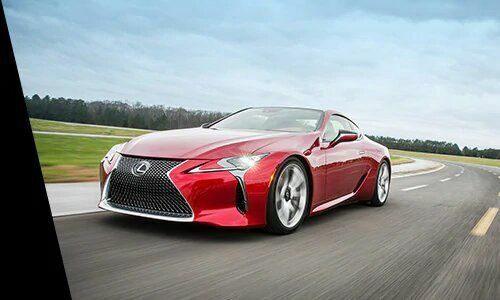 That’s why the LC 500 epitomizes everything Lexus stands for. It reflects our past but, most importantly, it will define our future. The battle between beautiful form and spectacular function is a never-ending struggle. The LC 500 is a shining example of a luxury performance coupe that achieves both. Its distinctive low stance is a direct result of the need to lower the centre of gravity to reduce body-roll in corners. An ingenious use of alloy and carbon fibre means the breathtaking body shape also achieves a nearperfect 50-50 weight distribution necessary for optimal cornering. Unique forged 20" aluminum wheels wear tires made specifically for the LC 500 because standard wheels would compromise either aesthetic or capability. Guided by our L-Finesse design philosophy, triple-layered headlight and tail light configurations provide superior illumination with definitive Lexus style. The LC 500 evokes a driving experience so visceral it's almost beyond words. 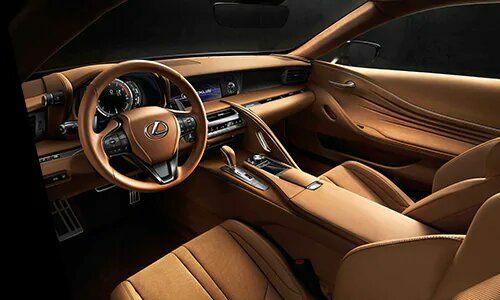 Engineered to awe, the LC 500 is powered by a 471 hp naturally-aspirated, all-aluminum, 5.0-litre V8 engine mated to the first-ever 10-speed, direct-shift automatic transmission capable of accelerating to 100 km/h in 4.5 seconds flat. The LC 500h doesn't fall short of its V8 powered sibiling. Powered by a 3.5-litre V6 engine with total system output of 354 hp, the LC500h is capable accelerating to 100 km/h in under five seconds. From a standing start the electric motor instantly provides an abundance of torque and acceleration then seamlessly switches to the naturally-aspirated engine when more horsepower is commanded. Hybrid or gasoline, prepare to be electrified. 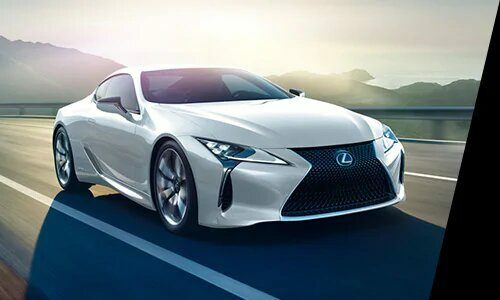 The LC 500 with Lexus Enform vehicle technology makes every journey richer. Intuitive capabilities include Destination Assist that puts a live agent at your beck and call 24/7. Need directions? Seeking restaurant or hotel recommendations? Curious about sights to see? Just ask the agent. Better yet, Enform's App Suite with voice activation hosts a world of information and entertainment options. Why settle for a trip when you can experience a journey? 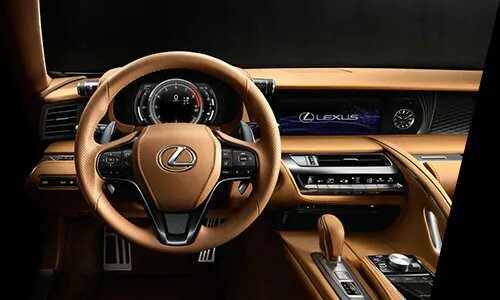 From the advanced technologies of Lexus Safety System+ to the connected services of Safety Connect, Lexus LC enhances control and peace-of-mind on every trip and every turn. LSS+ integrates a collection of active safety technologies to support your awareness and decision-making on every trip including: Pre-collision Safety System with Pedestrian Detection, Lane Departure Alert with Lane Keep Assist, Dynamic Radar Cruise Control, and Automatic High Beam. For peace of mind, Safety Connect is always by your side with roadside and emergency assistance.